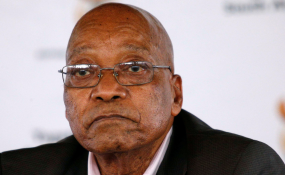 The chairperson of the judicial commission of inquiry into state capture, Deputy Chief Justice Raymond Zondo, says he would like former president Jacob Zuma to give his side of the story on allegations against him. This was after evidence presented by former ANC MP Vytjie Mentor which stated that Zuma was at the Guptas' home when she was offered a ministerial post. Zuma has not applied to cross-examine any of the witnesses.